It is a fact that books account for a relatively small amount of the trash I have picked up in all my life's trash walks. Books do not kill sea turtles (much, I guess. Although they could, if they fall into the wrong hands...). But are they Green? Or should I plant trees for every book I buy, as Eco-libris suggests? 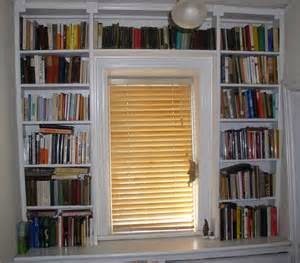 3. bookshelves, strategically placed on north walls of the house (as in my house, below), act as insulation. (covering all windows with books would work even better). 4. books are carbon sinks--each little block of paper that's not actively decomposing (which hopefully the books in one's home are not) is a little block of carbon not contributing to global warming. 6. What we care about, we will work to save, and books help us care about things in nature we don't wee in our daily lives (like sea turtles). But here's what I don't know much about--what are the environmental costs of making books? Where do the chemicals come from that are used to make them? Under what working conditions are they bound? Do gallons of bleach pour into rivers somewhere in the world for every book I read? I found some answers in a report based on data collected in 2007-"Findings from the US Book Industry Environmental Trends and Climate Impacts." (the link goes to a summary of the findings). The Green Press Initiative, where I found this report, has more information, mostly focused on paper issues. Many publishers are paying attention, and working toward sustainable paper. I wasn't able to find anything that addressed the actual environmental impacts of other aspects of book making....anyone who knows anything about this, I'd love to learn more! So I guess that as a reader, what I will try to do is to buy locally when possible (to cut down on plastic packaging), and recycle when done if I'm not keeping it. (In my town, paperbacks can go out with the rest of the paper recycling, but hardcover books can't. This means that some of us, ie me, spend lots of time ripping the pages out of hardcover books that no one will ever love leftover from the library books sales so as to at least recycle the paper part. I have not found anything I want to do with the covers....I don't want to make decorative planters, handbags, or picture frames from them. Others might). "Also I will spend more time reading and less time pulling up maple seedlings this summer. This counts as "planting trees."" This made me cackle aloud. Ah, those maple seedlings! If only they'd take root where there's ROOM for them! I did my Earth Week programs on water conservation this year. In my research, I was stunned how much water is used in manufacturing. Papermaking by its very nature requires a lot of water, but you'd think manufacturers would work to better reuse and recycle it all. And when the alternative to reading paper books is reading on electronic devices, eh, I hardly think that's much of an environmental improvement.